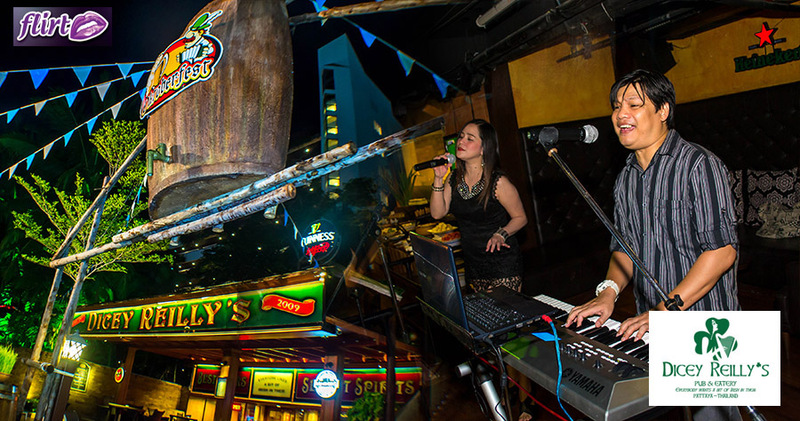 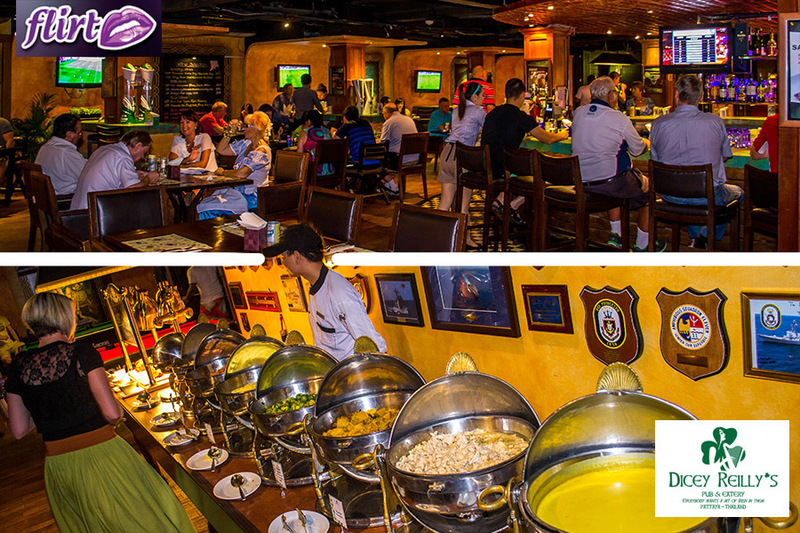 Located at the rear of the Marriott Resort Pattaya (2nd Rd) you’ll find what is touted to be the “best Pub In Town” Dicey Reilly’s Irish Pub. This large air-con themed pub holds regular special promotions throughout the year such as Wine evenings, independence day and St Patricks Day but at this time of year the team put together an Oktoberfest celebration. 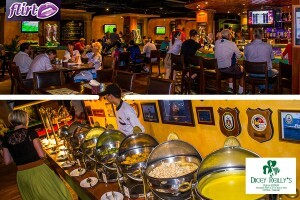 This buffet selection includes Pork Knuckle, assorted sausages as well all the trimmings such as brussel sprouts, potato mashed, roasted pumpkin, sauteed chicken zurich, pumpkin soup and a full range of salad and dressings. 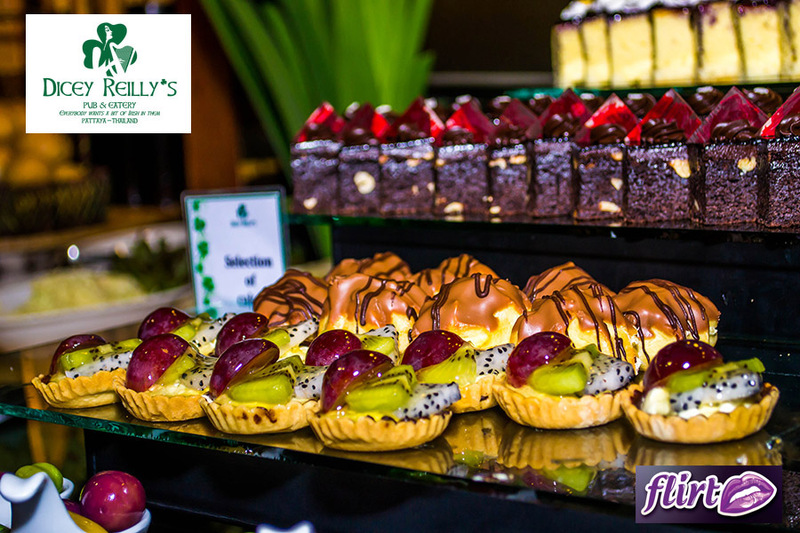 If that wasn’t enough you can indulge after the main meal with apple pie, chocolate cake and many other dessert choices. 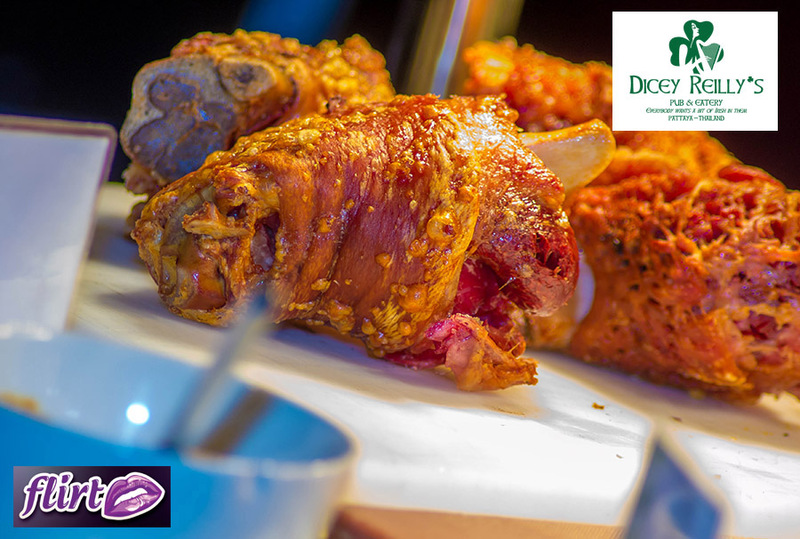 As well as comfortable surroundings and first class service, you’ll also enjoy your meal listening to top entertainment on stage. 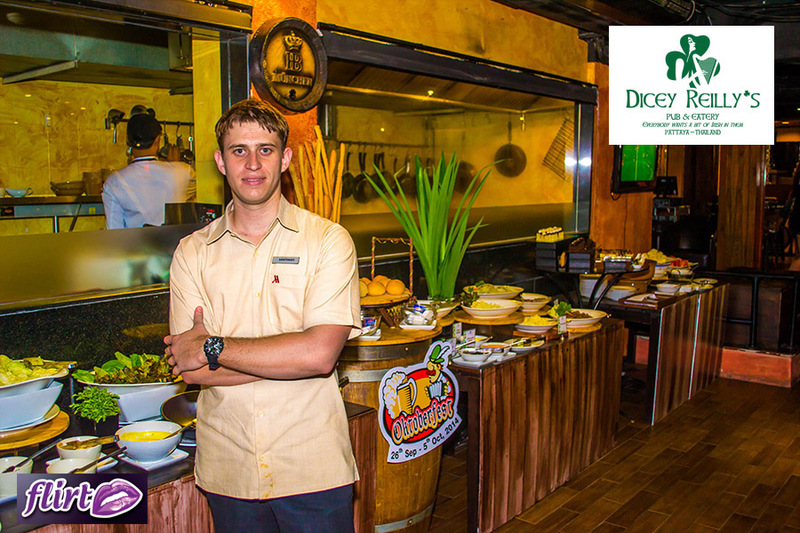 Dont forget that Dicey’s also do daily special deals from Burgers to Pizza etc. 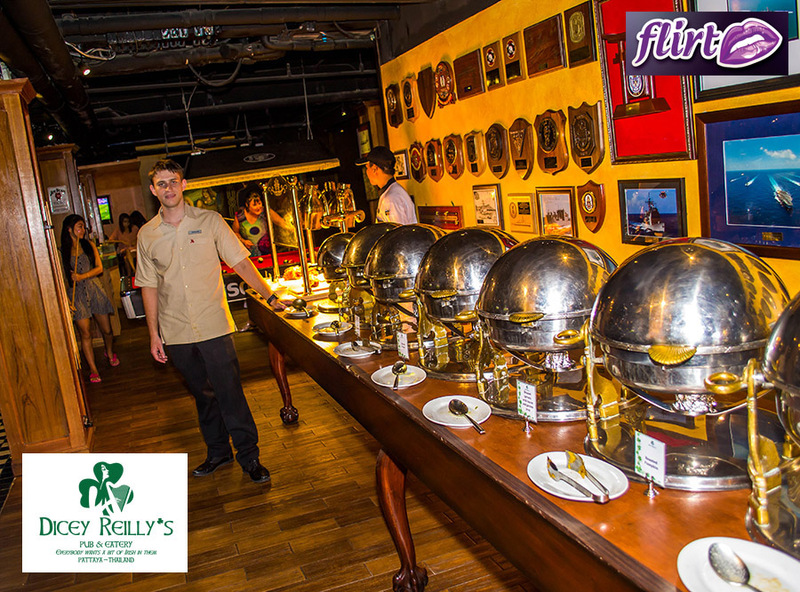 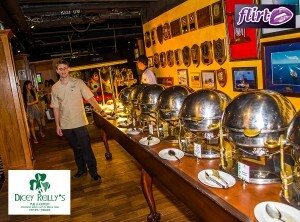 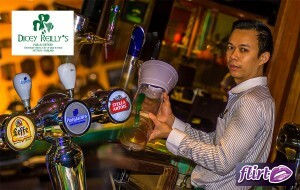 Keep checking out flirt-pattaya.com for up and coming special events at Dicey Reilly’s irish Pub.